The title of Steven Cushner’s “Double Down” refers to Hemphill Fine Arts’ back-to-back exhibitions of two separate selections of the artist’s recent work. An equally apt title could be borrowed from one of the strongest pictures hanging as part of the second grouping: “Ebb and Flow.” Cushner renders rounded, tightly interlocking forms atop quilt-like patterns and lets the paint from both drip freely. “Atop” might not be exactly right. The nature-derived central motifs dominate the compositions, yet the distinction between foreground and background is, well, fluid. Areas are partly painted over, and the order in which various elements were introduced is not always clear. Like nature itself, Cushner fuses process and outcome. The lines run lengthwise in the Willem de Looper abstractions, three on canvas and three on paper, also at Hemphill. 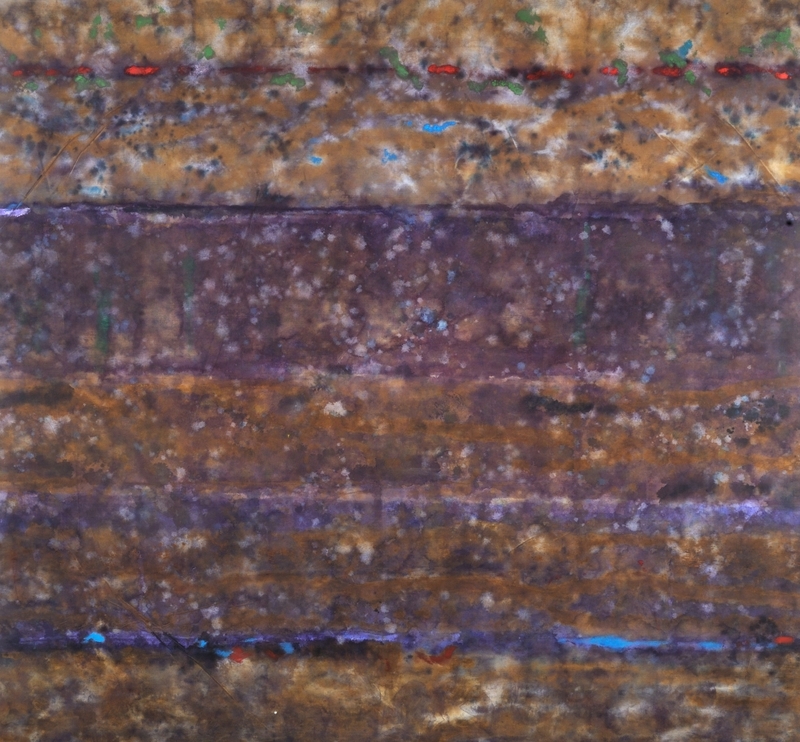 The Dutch-born Washington painter (1932-2009) made these handsome pictures between 1973 and 1977, applying mineral-toned pigments in watery layers. Although there are dashes of bright color, notably in the widest of the three works on canvas, the overall effect is subtle and earthy. The extremely horizontal works on paper are more reminiscent of landscape but are similarly striated. They could be core samples from an imaginary land.